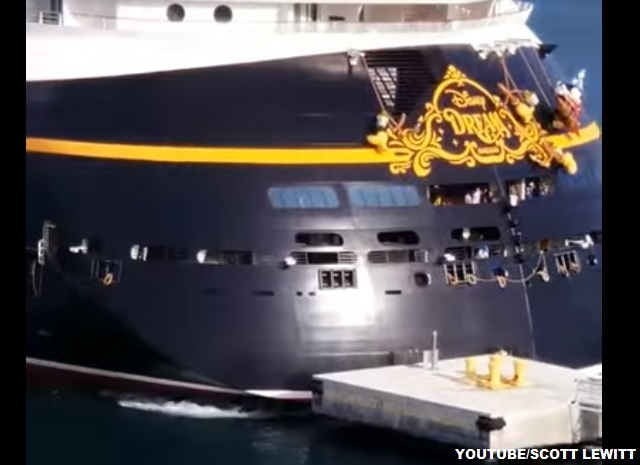 The Disney Dream collided with a dock during a 3-day cruise from Port Canaveral, Florida to Nassau, Bahamas on Saturday, September 30, 2017. Photos and video posted on social media show the 1,100-foot, 129,000-ton cruise ship backing up in the Port of Nassau when the collision occurred. Damage to the ship's aft section of the hull and to the dock were very apparent after the collision. Despite the damage, the Disney Dream appears to be on schedule, and later departed for Castaway Cay. The Disney Dream is scheduled to return to Port Canaveral, Florida early Monday morning.